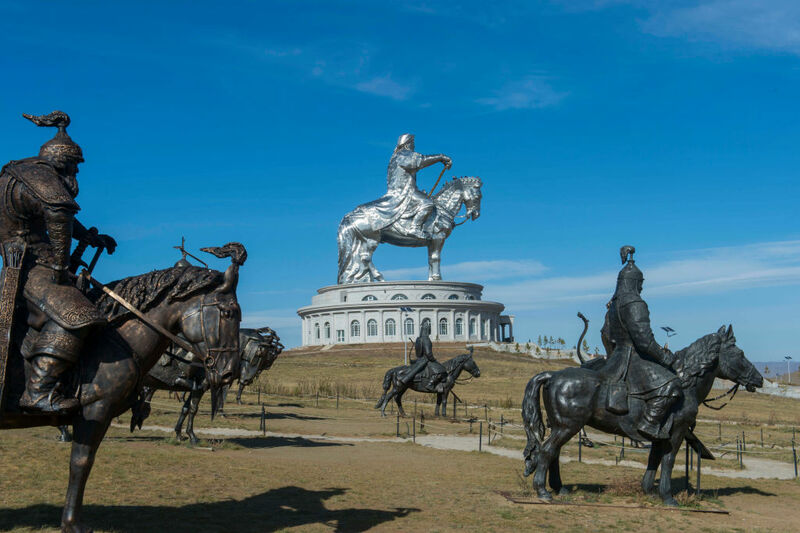 Genghis Khan was one of history’s most successful conquerors, and even his name still carries the weight of bloody conquest in many parts of Asia. 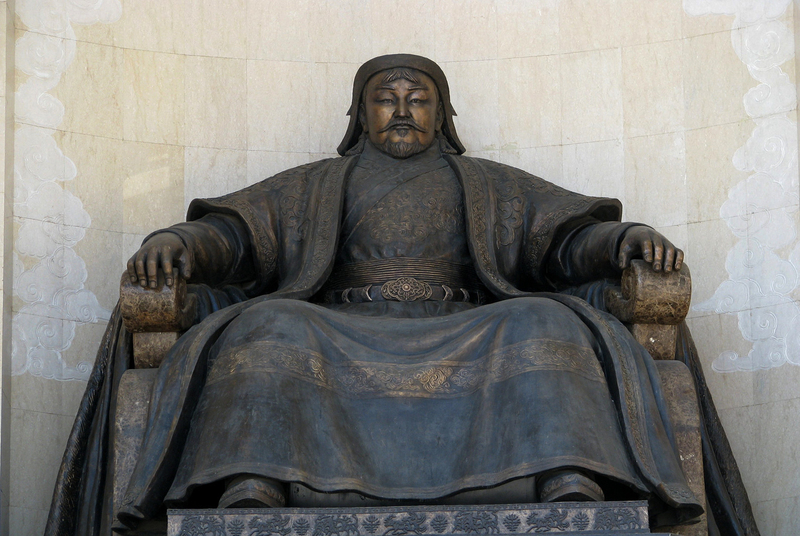 He founded and unified the Mongol Empire, becoming its first Great Khan. He wasn’t just a warlord, though: he made enormous cultural advancements for Mongolia, including unifying the nation’s written language. 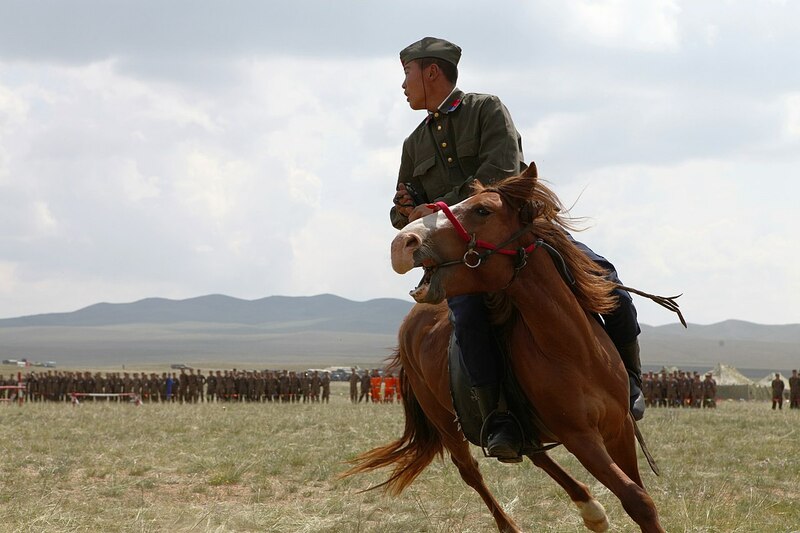 On top of all that, his bloodlust and battle prowess (which carried on in his sons) made Mongolia the largest contiguous empire in history after his death. Talk about leaving a legacy. But other parts of his legacy were much less glorious: we’re talking about his slaying thousands of people, fighting with pretty much everyone around, trademarking the most brutal and conniving battle tactics, and maybe even helping bring the Black Death to Europe. Tsk, tsk, Khan. 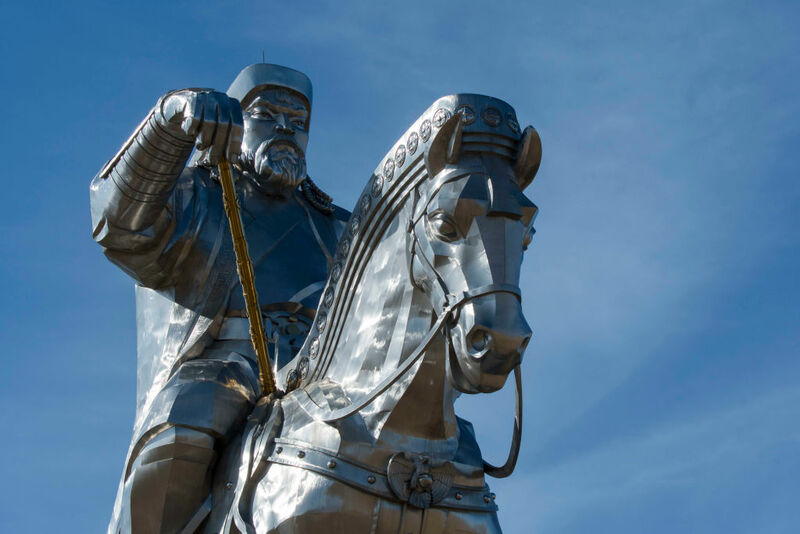 So saddle up your horse, gather the Mongol horde, and ride into these 45 facts about Genghis Khan. 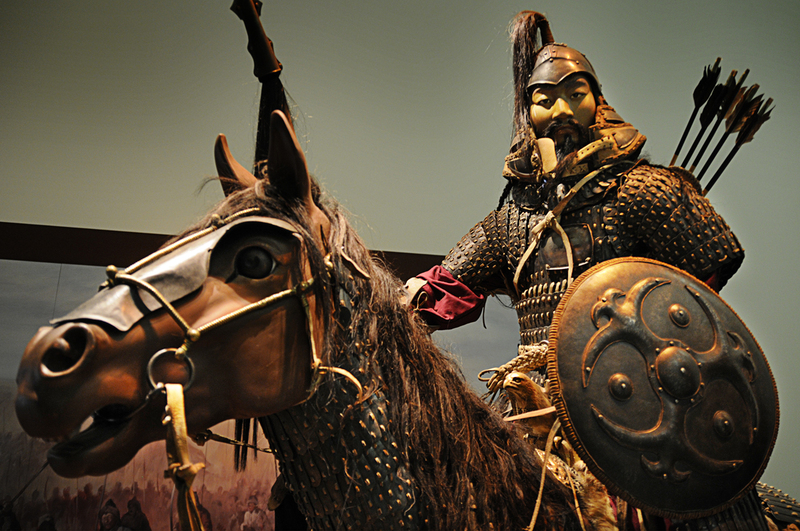 Around 1162, Genghis Khan was born with the first name Temujin; he had to earn the name Genghis Khan. “Khan” means ruler, and “Genghis” is based on the Mongol word “Tenggis,” which means “ocean” or “wide-spreading.” However, other historians suggest the name could come from “Jenggis” meaning “right, just, and true.” Either way, pretty cool. Legend has it that Genghis Khan was born with a blood clot clenched in his fist, foretelling his emergence as a great and powerful leader. Looks like he had blood on his hands from the very beginning. 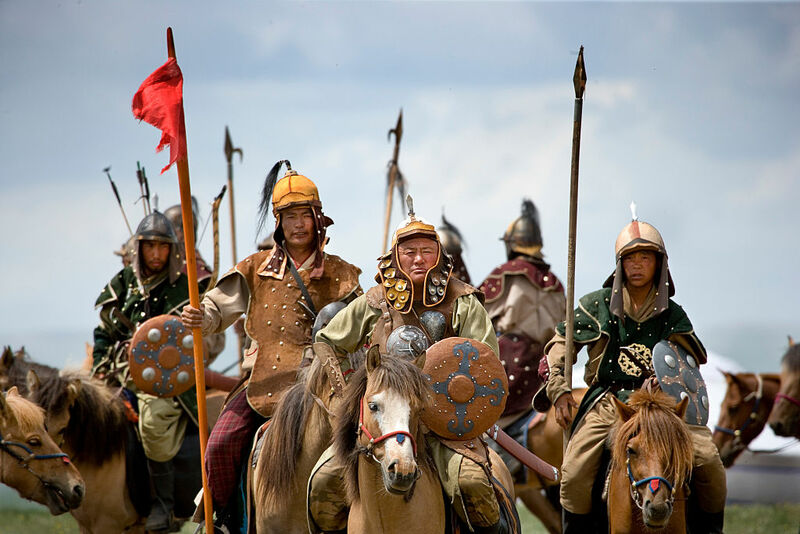 The Mongols developed on the Eurasian steppe, a mass of rolling plains, forests, mountains, and tundra with a climate of extremely variable weather. Due to the difficulties of living in this area, organized mobility became a crucial component of any society there, and a unique management of people became the distinctive style of a Eurasian empire. Along with killing people from on horseback, of course. When Genghis Khan was just a child, his father Yesugei was poisoned by a rival tribe, the Tatars, when they sneakily offered him poisoned food. 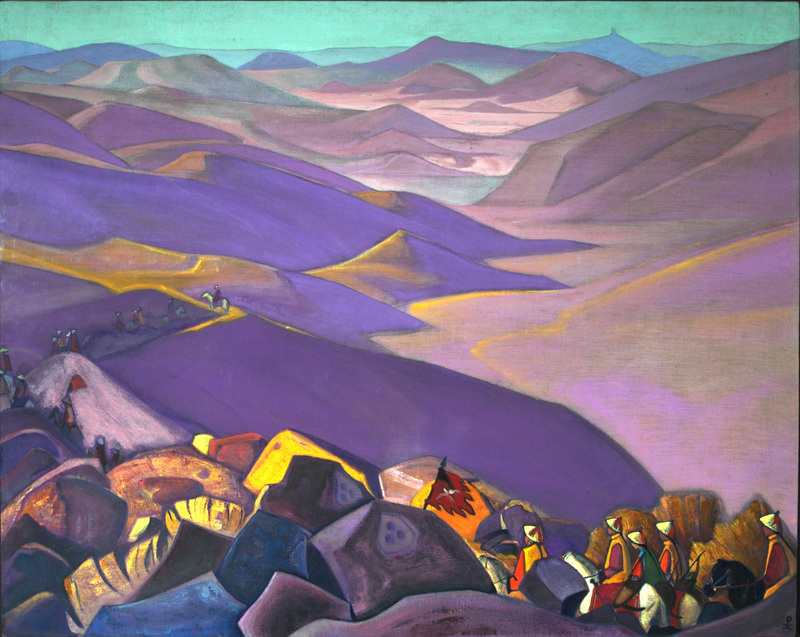 Genghis, who had been away, went back home to claim his position as chief of the tribe, but the tribe refused and abandoned Genghis’ family instead. Genghis Khan killed so many Persians (modern day Iranians), that the population of Persia didn’t return to pre-Mongol numbers until the 1900s, nearly 700 years later. The troubles still weren’t over for the young Genghis. He also ended up being abducted by an enemy clan as a teenager, and had to make an escape to win his freedom and continue his rise to power. 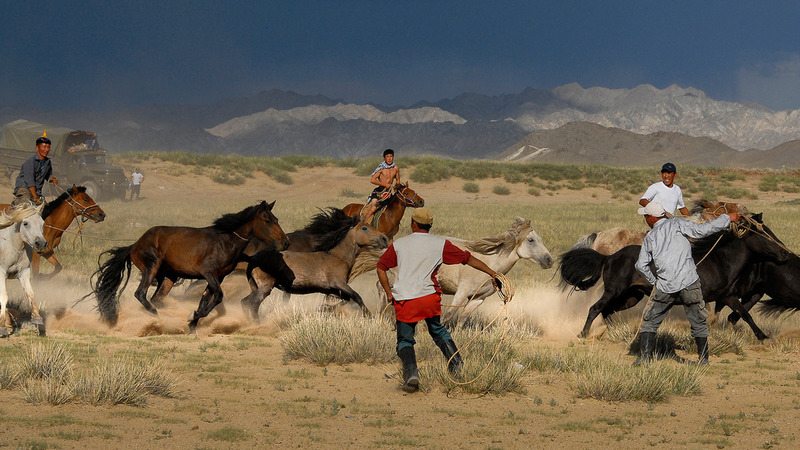 By the age of three, Mongol children were taught to ride horses by their mothers. 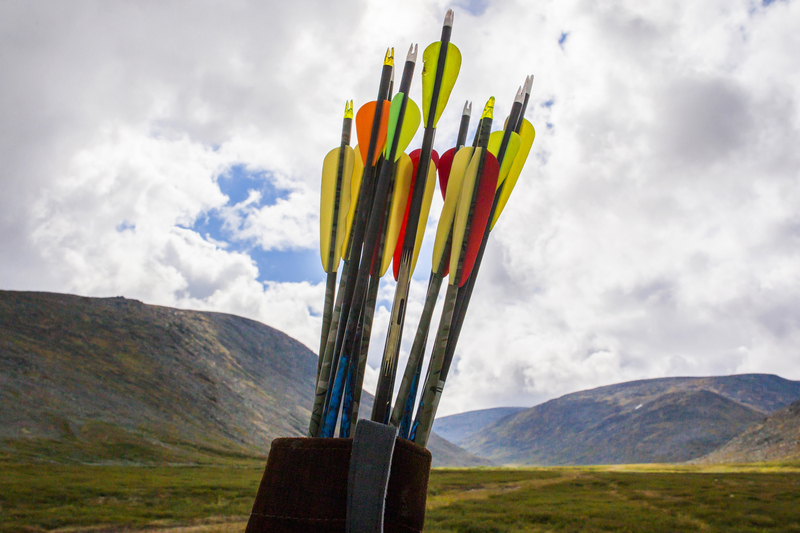 In order to prevent injury, the children would be tied to the horse at first, and within a couple of years, the child would begin training with a bow and arrow. 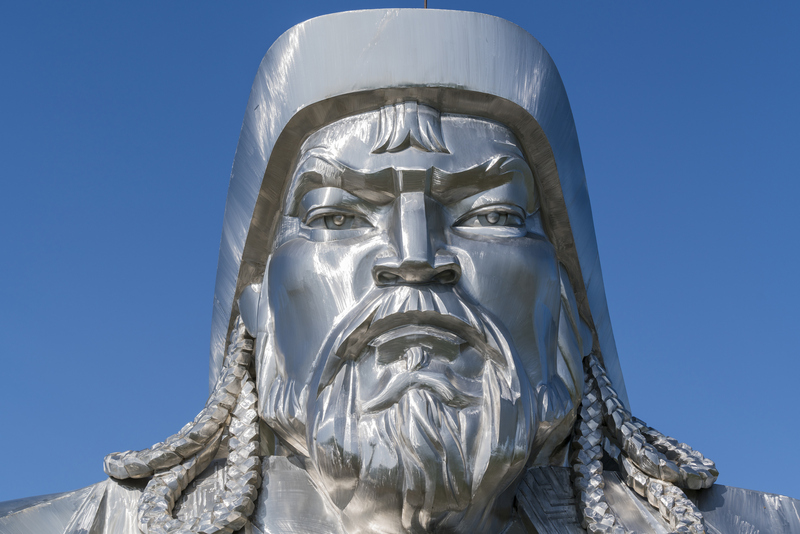 No one knows what Genghis Khan looked like. The only images of the Khan started appearing after he died, so it’s unclear how accurate they are to his likeness. In fact, Genghis specifically forbid anyone to craft his likeness. 37. 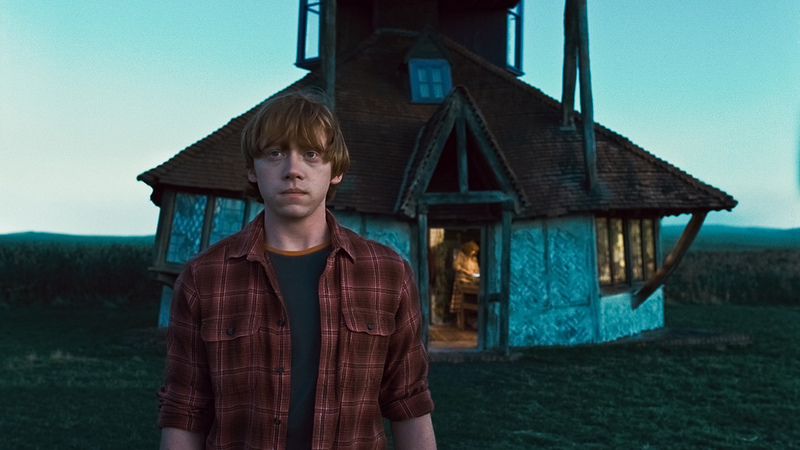 Are We Talking Ron Weasley Red? Despite our cultural image of Genghis Khan as an Asian-looking warlord, he might have looked much different. He is generally described as tall with a long flowing beard, but the Persian historian Rashid al-Din also claimed the Khan had red hair and green eyes. 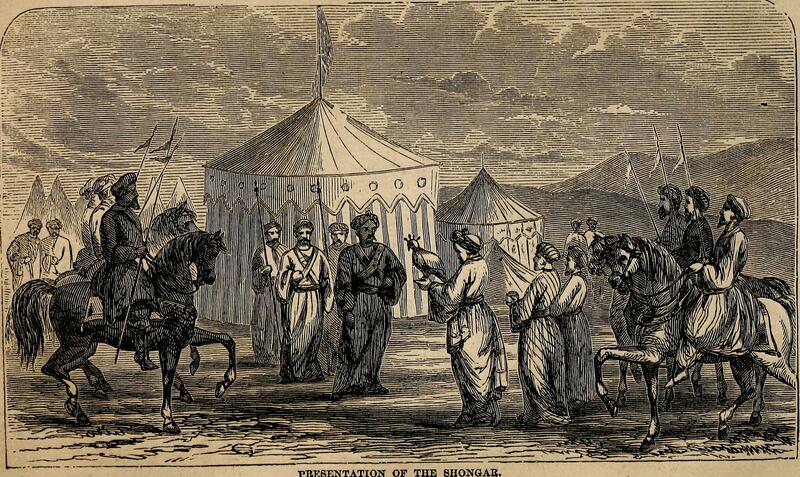 Al-Din never met Genghis in person, so we have to take it with a grain of salt, but these features weren’t uncommon in the Mongol population at the time. 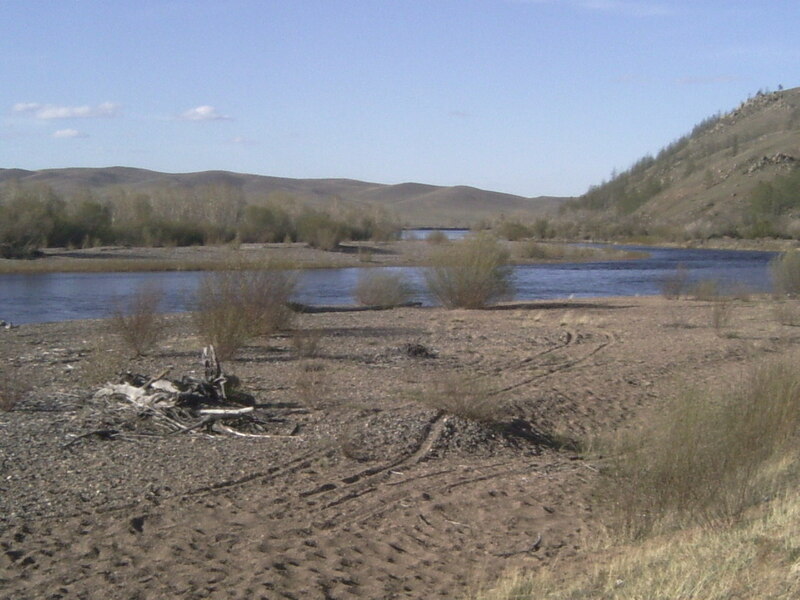 It’s said that Genghis Khan had those he trusted most divert a river over his final resting place, ensuring no one would disturb his eternal slumber. Now he sleeps with the fishes. 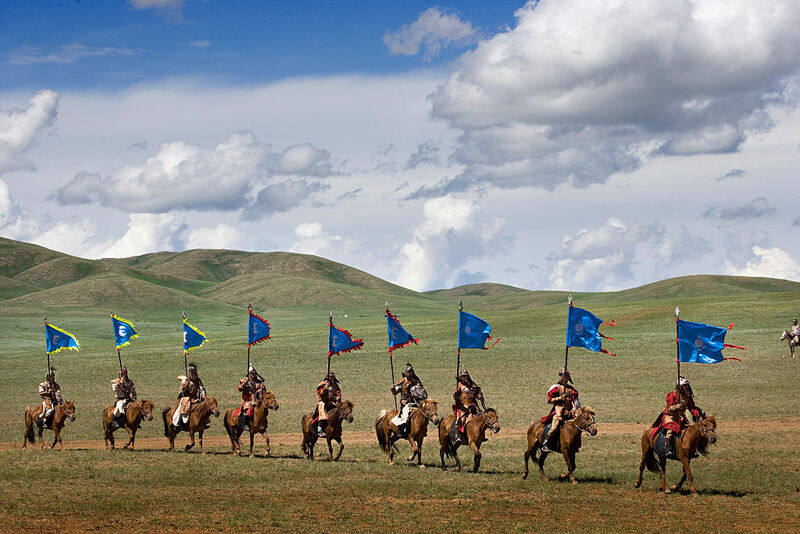 Before Genghis Khan united Mongolia under a single banner, it was nothing more than warring, nomadic tribes. It took years of hard labor, but he finally did it and earned his “Khan” title. Then he turned his full attention to expanding the newly-minted empire. 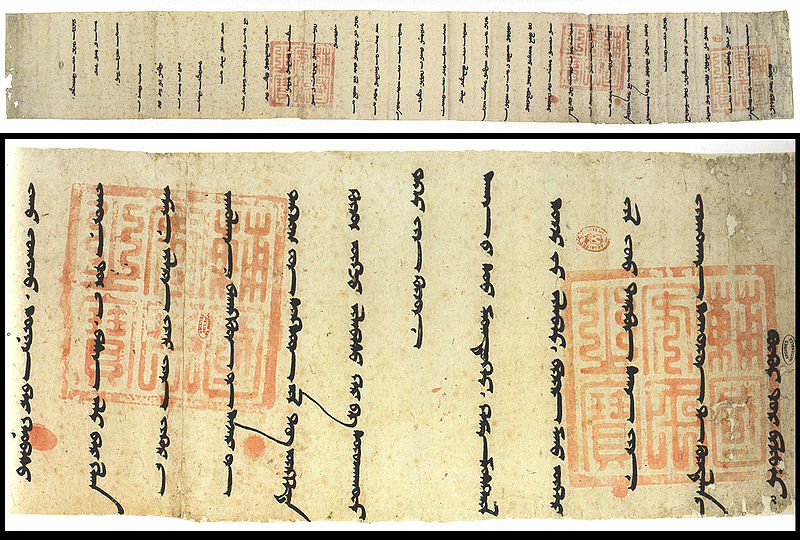 Genghis Khan adopted the Uyghur script as the official written language of Mongolia. He did the write thing. Ikh Khorig, or Great Taboo, is a 240 square kilometre piece of land in the Mongolian Khentii province that was declared holy by Genghis Khan. Only an elite tribe of warriors called the Darkhad and their families were allowed to enter, and anyone else caught doing so was put to death. It’s rumored that Genghis Khan was buried somewhere in Ikh Khorig. Who’s up for a scavenger hunt? 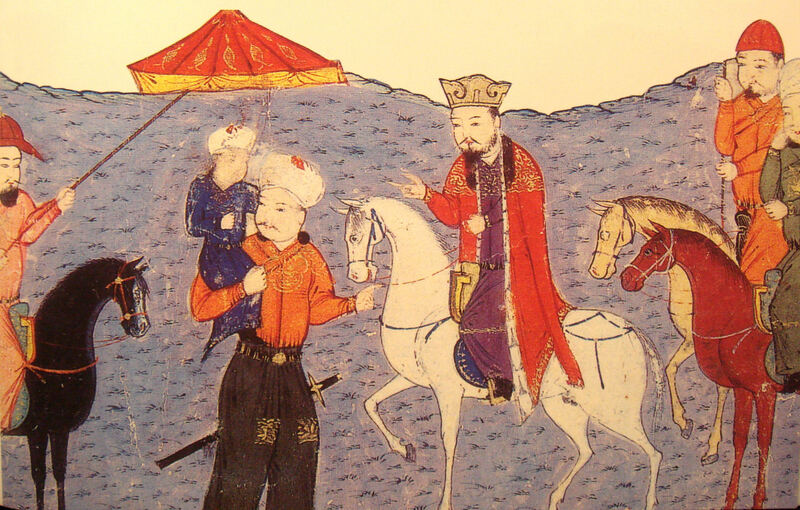 Genghis Khan created the first international postal service, allowing people to mail parcels and letters to friends and family in other countries without having to hire specialized couriers. The postal service was similar to the American Pony Express. 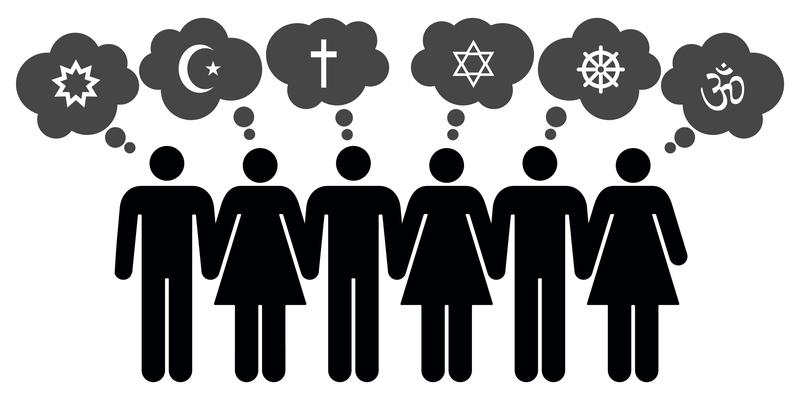 Genghis Khan was tolerant of individual beliefs, encouraging religious freedom amongst his subjects. It didn’t matter who you believed in, because Genghis Khan believed in you. Yelu Chucai, one of Genghis Khan’s most trusted advisors, suggested that the Khan tax people instead of just, you know, killing them. This became a cornerstone of Genghis’ conquests. Death and taxes indeed. 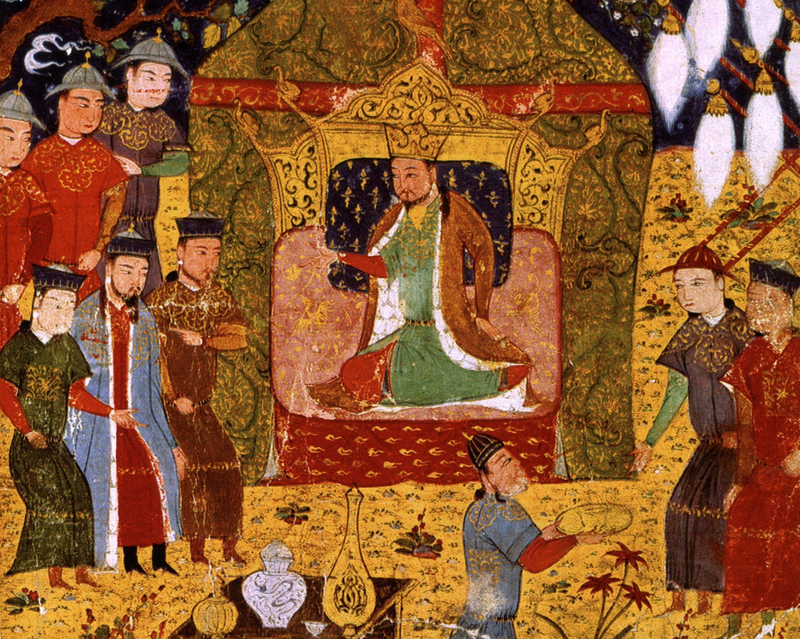 Genghis Khan was a brutal warlord, but also a generous ruler. He was among the first global leaders to exempt the clergy and the poor from taxation. 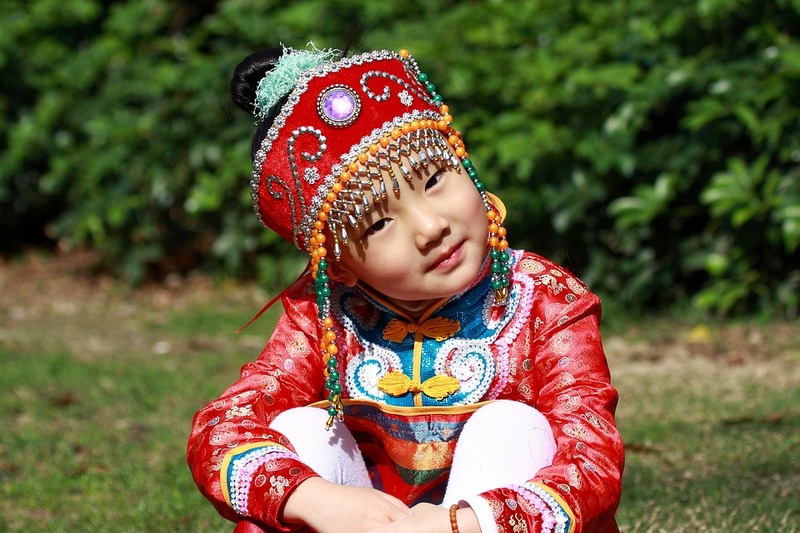 If you were born a Mongol, you were a part of the tribe in every facet of its society. This is evident in the fact that the Mongols did not have a word for soldier, as every member of their society was trained to be a part of their collective war-machine, each of them learning to mobilize instantly. 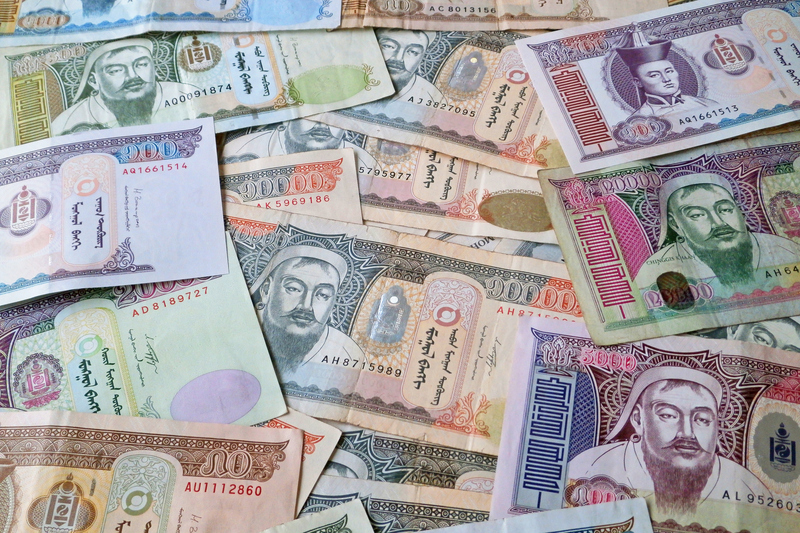 Genghis Khan’s face appears on Mongolia’s currency. Mongol, more like Mongoals! 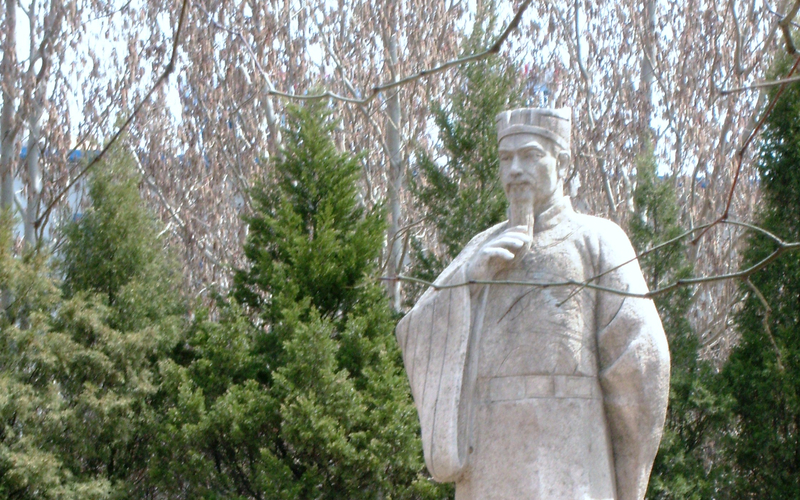 Genghis Khan is the most successful biological father of all time, with nearly 16 million descendants. 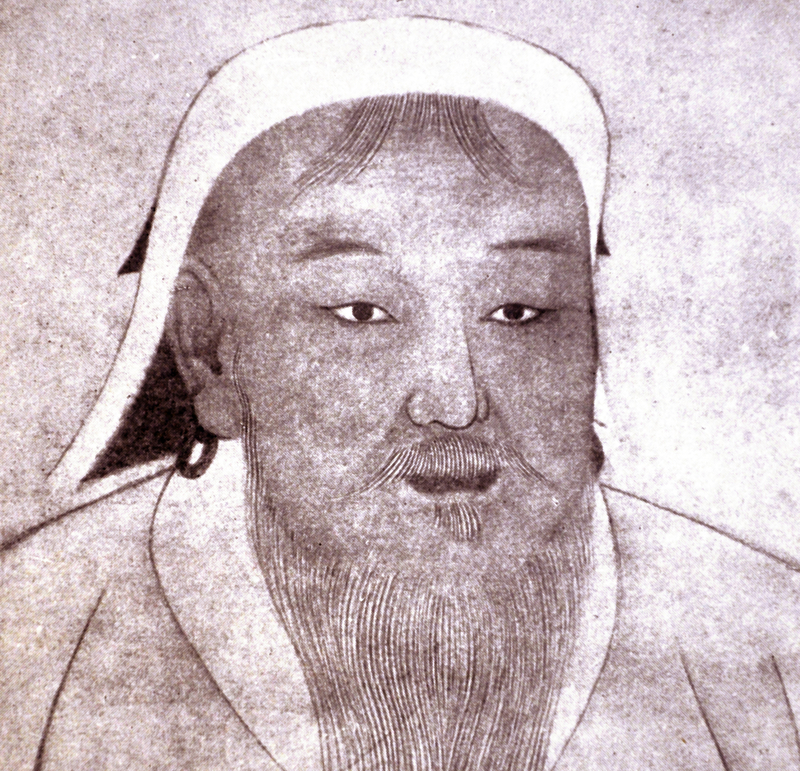 Genghis Khan believed a man’s legacy was measured in the children he left behind. That explains the why of the previous fact, but not the how. Who has that much time? Conquering must be easier than it sounds. 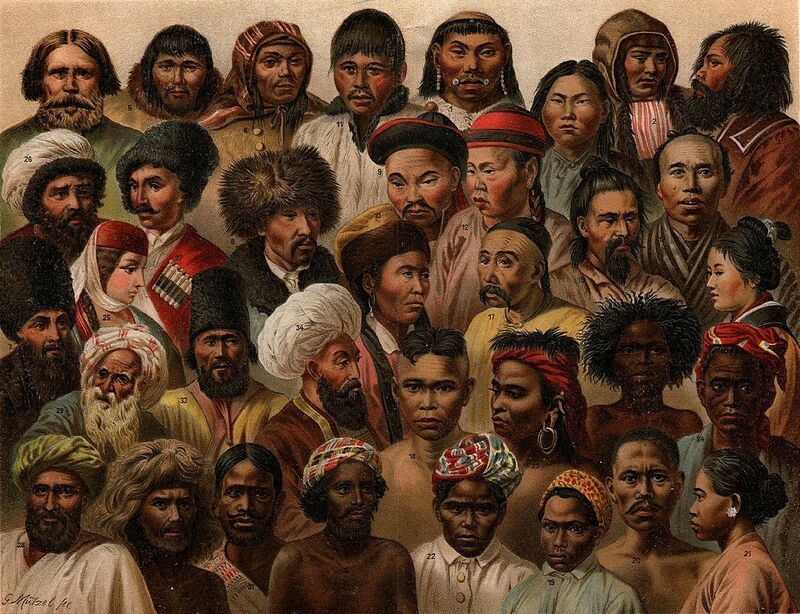 Nearly 8% of Asian men are descended from Genghis Khan. That’s nearly 350 million men with one common ancestor. 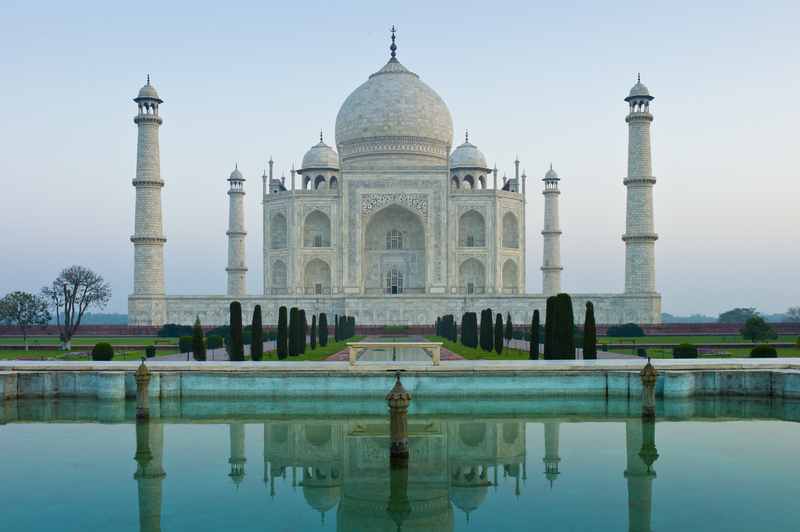 Shah Jahan, the Indian Shah responsible for building the Taj Mahal, was actually a descendant of Genghis Khan. 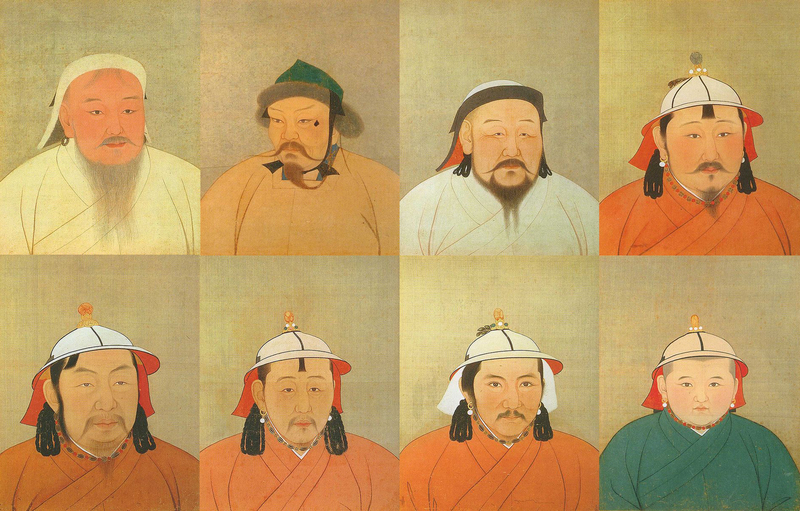 Genghis Khan had four legitimate sons, all of whom heavily participated in the Mongol conquests. His third son Ogedei became the Khan when Genghis finally died, and he continued his father’s conquests of Asia and Europe. Don’t you hate it when your parents force you into the family business? 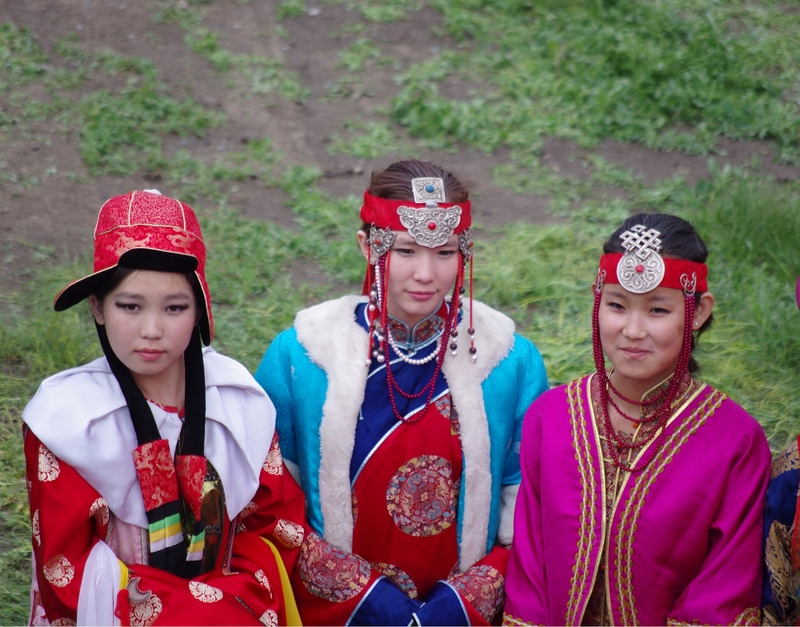 Ghengis Khan would often marry his daughters off to local rulers, and then use these daughters to rule in his stead. You see, he would make his new son-in-law a military leader and send him off on a campaign, install the daughter into a position of power at the center of the nation, and then wait for the husband to die in battle. It was a win/win for the Khan, who got new lands and new soldiers for his wars. For the dead husband, well, not so much. 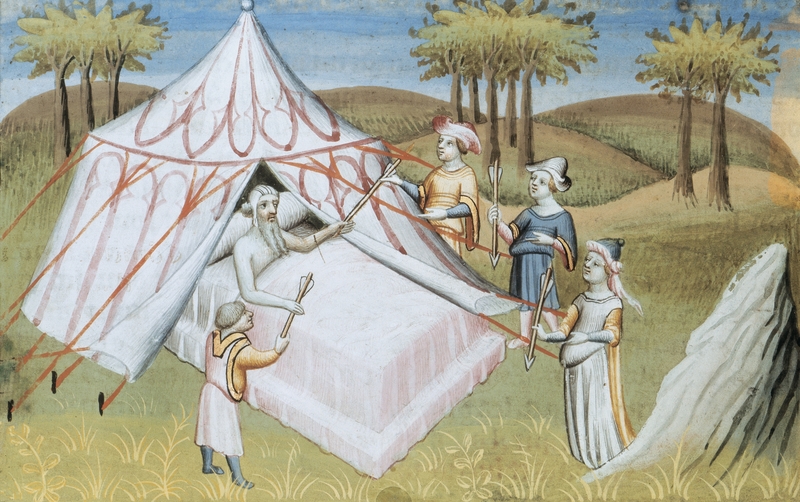 Though Genghis Khan took many wives throughout his life, his only Empress was his first wife Borte. Genghis had actually been betrothed to Borte since the tender age of nine. Now that’s loyalty. 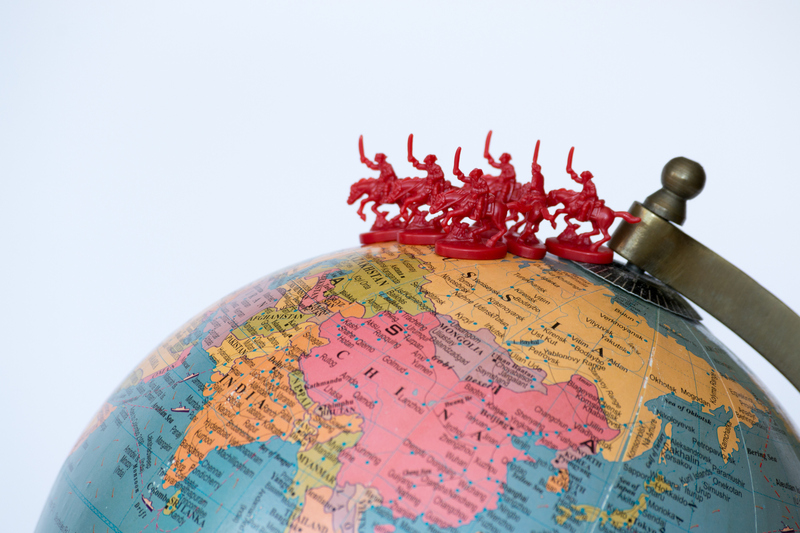 Genghis Khan was a master tactician, often employing clever tricks to defeat his enemy. 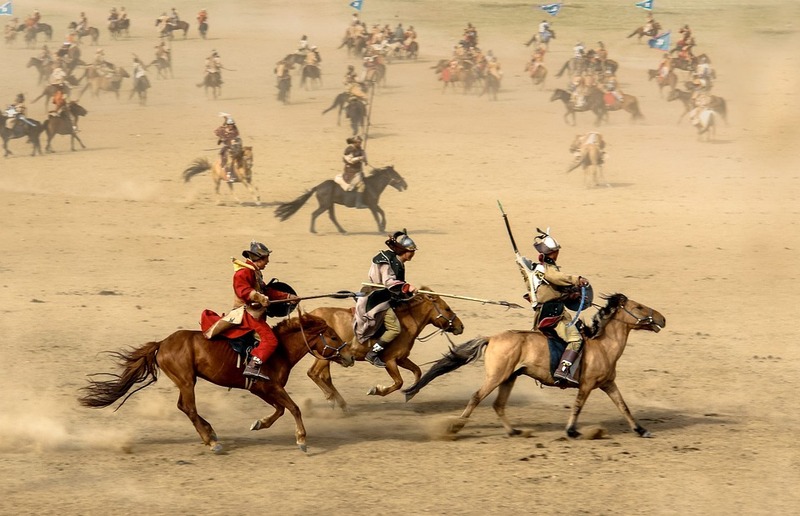 Some examples include false retreats to bait enemies into ambushes, and tying sticks to horses’ tails to kick up dust storms equal to those kicked up by large armies. They would also tie dummies atop horses to make it look like a solider was riding into battle. We still don’t know how Genghis Khan died. We do know it was in August 1227, but the rest remains a mystery. Theories range from an illness, a fall from his horse, or a gruesome battle wound. He was about 65 years old. You know those douchey 90s thumb rings? Well, you might have the Mongols to blame for that one. 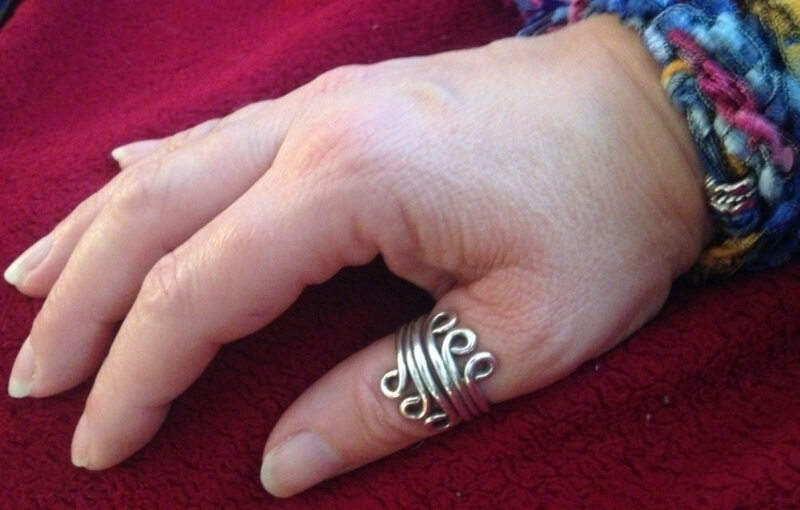 They would generally pull bow strings back with their thumbs, and so created the rings to protect their digits. Thanks a lot, Genghis. 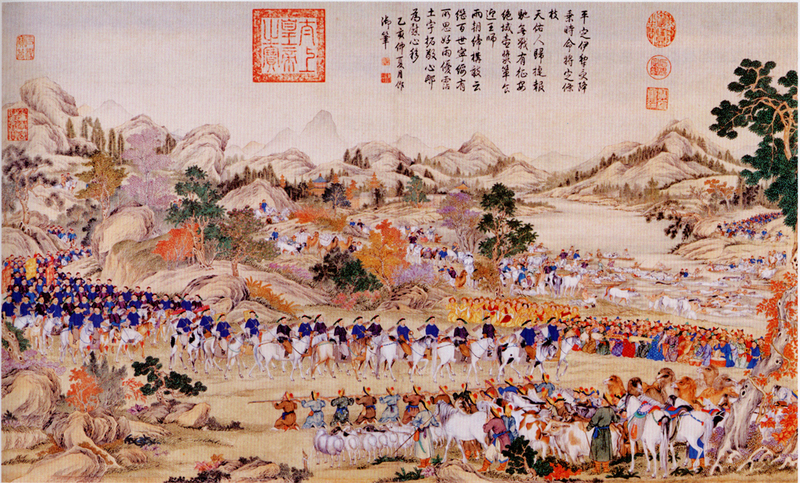 Genghis Khan invaded China with 90,000 troops and defeated an army of 1 million plus soldiers. He killed nearly 500,000 soldiers while a great many more, including generals and high ranking officers, defected to the Mongols. It’s not about the size of your army, but how you use it. 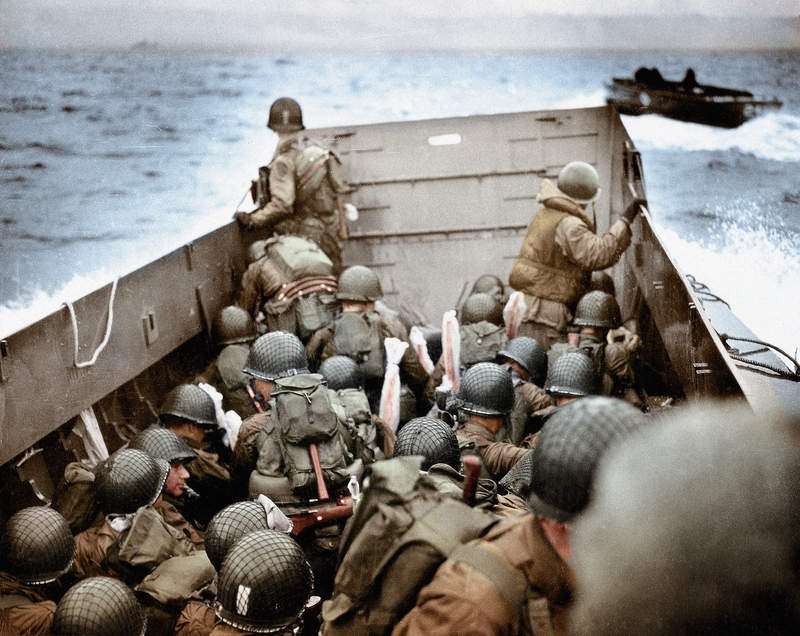 World War II was the deadliest war in the history of the mankind. However, the Mongol invasions proved almost as deadly, even though the world population was just one fifth of what it was during the WWII. Genghis Khan believed in being rewarded for hard work, and operated on a meritocracy over a nepotistic system. Many of his highest ranking officers and generals had earned their way to those positions, instead of simply being born to a particular family. 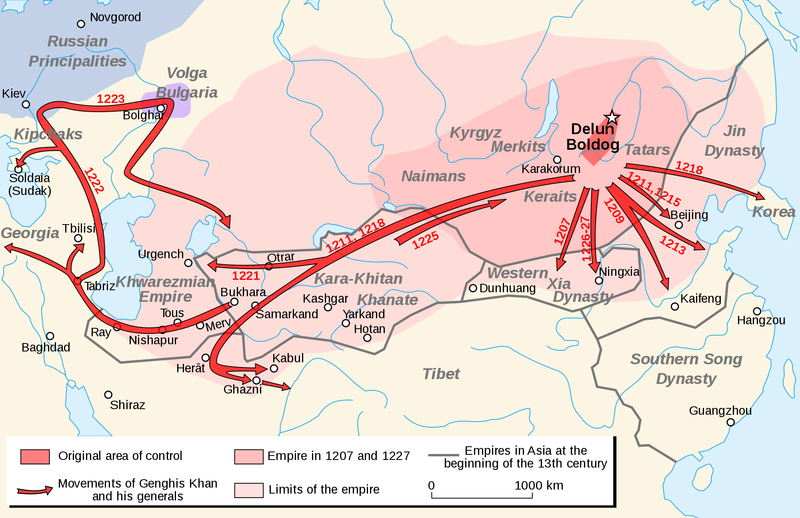 The conquests and destruction of the Mongol Empire didn’t end with the great Genghis Khan’s death in 1227, however. 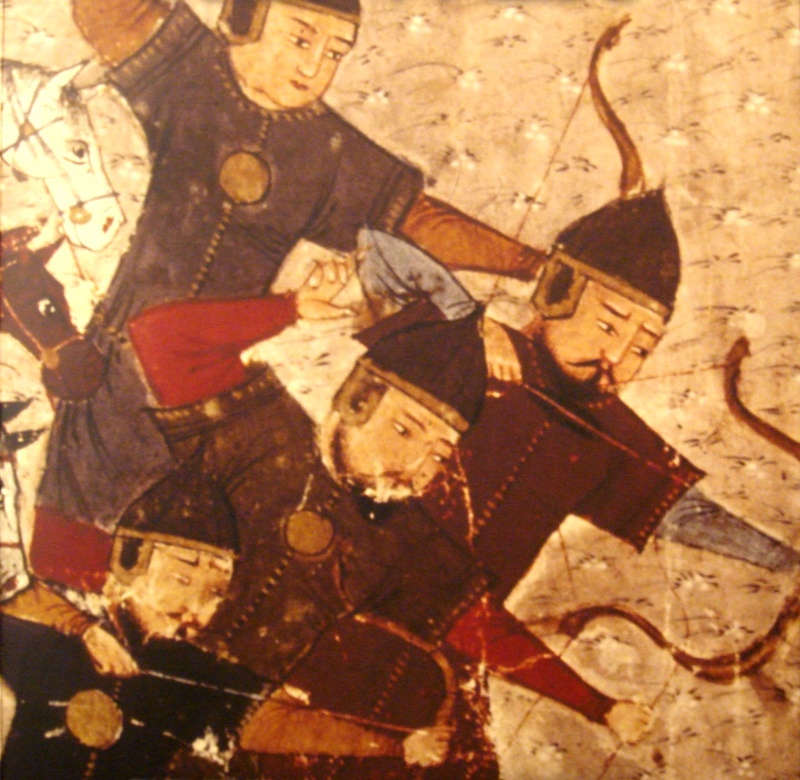 Decades later, in 1258, the Mongols were still at it in grand style. In fact, they pretty much ended the Islamic Golden Age when they destroyed Baghdad that year. Survivors of the sacking (there weren’t many) reported that, “the waters of the Tigris ran black with ink from the enormous quantities of books flung into the river and red from the blood of the scientists and philosophers killed.” Throwing books in the river? Killing scientists and philosophers? Not cool, Mongols. But very on-brand. 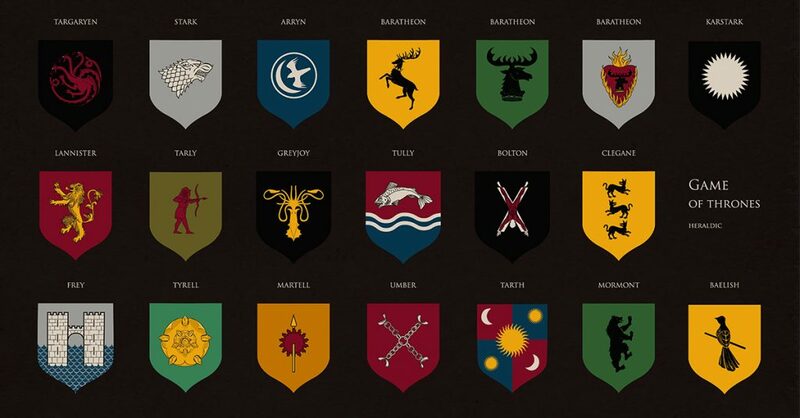 Most of Genghis Khan’s most trusted generals were his enemies at one point or another. The Mongols didn’t like to spill noble, highborn blood on the ground, but they also really liked killing. 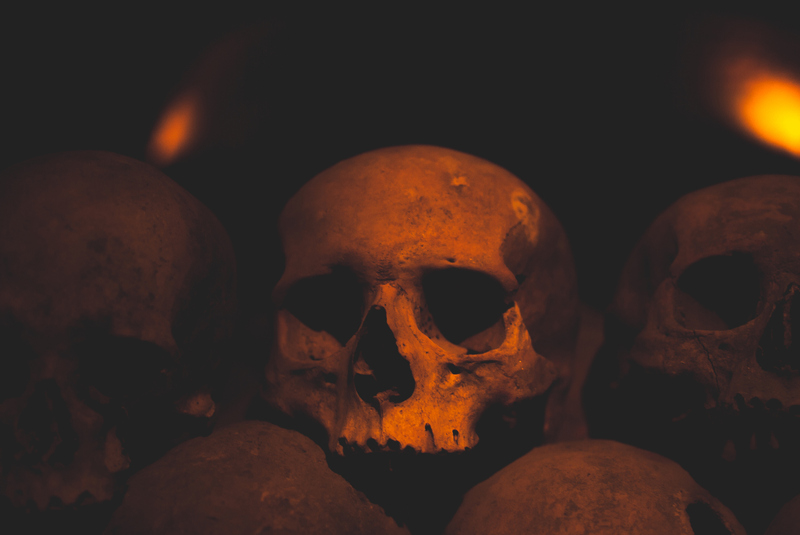 To get around this, they came up with some gruesome loopholes: they loved to bend backs until they snapped, and frequently poured molten silver into the orifices of their victim, Game of Thrones style. 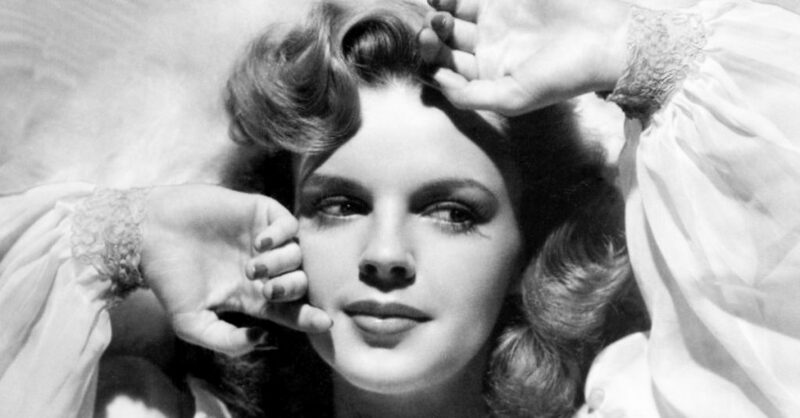 Another favorite? Roll the victim up in a rug and trample him with a horse. No mess to clean up! 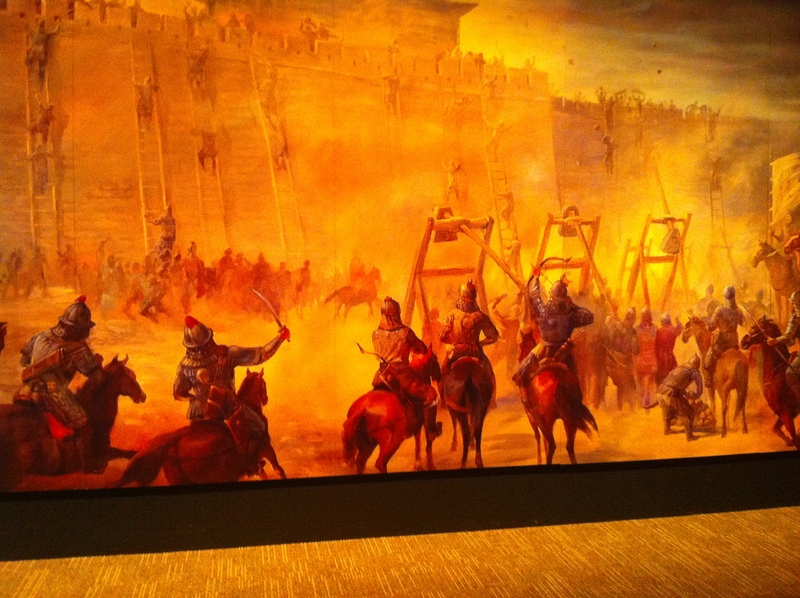 Genghis Khan’s armies killed an estimated 40 million people. In fact, his armies killed so many people that he cooled the planet and reduced the carbon footprint of human beings. While effective, this is definitely not the solution to climate change. Khan often used spies to incite civil wars and revolutions within opposing empires to weaken them for his invasions. The Khan never let a slight go unpunished. 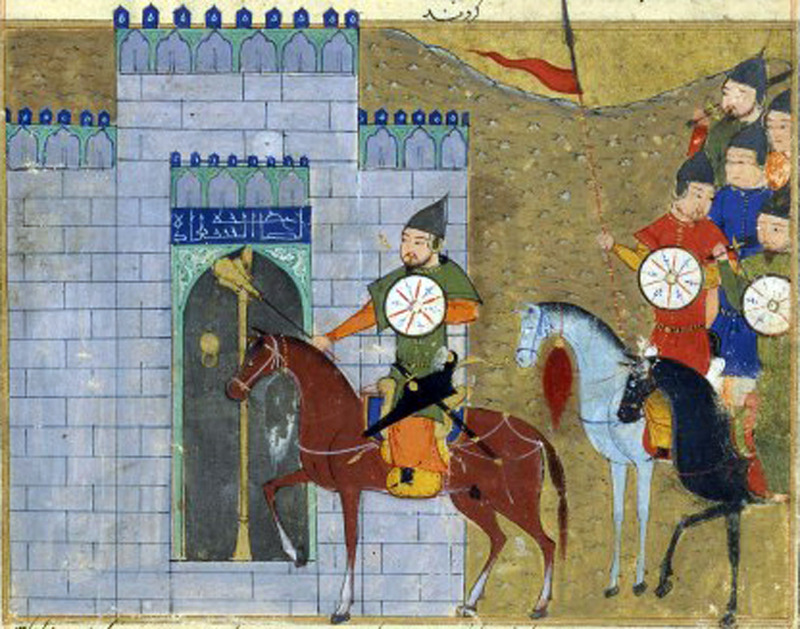 The Khwarezmid Empire killed his messengers when he offered to open up trade routes. As a result, he decided to decimate the budding Persian empire, killing nearly 90% of the civilian Persian population at the time. You could say Iran was caught between Iraq and a hard place. Life in Mongolia when Genghis was young was not a piece of cake, to say the least. 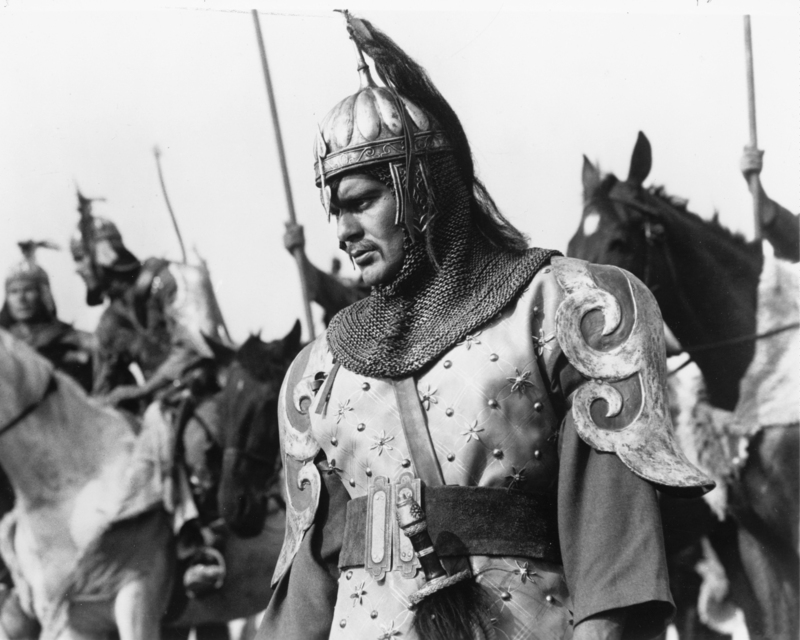 After his father’s death, Genghis’ family lived in poverty, and Genghis’ half-brother Begter was beginning to eye up Genghis’ mother Hoelun as a potential wife. Basically, Begter was looking for ways to flex his power as the oldest boy in the family. This didn’t sit well with Genghis, and when he was 10 he ended up murdering Begter on a hunting excursion with the help of another brother. A legend says that once, when the Mongol horde defeated the Russian forces, they celebrated their victory in gruesome style. They took all the survivors of the battle, laid them on the ground, and put a wooden slab on top of them. 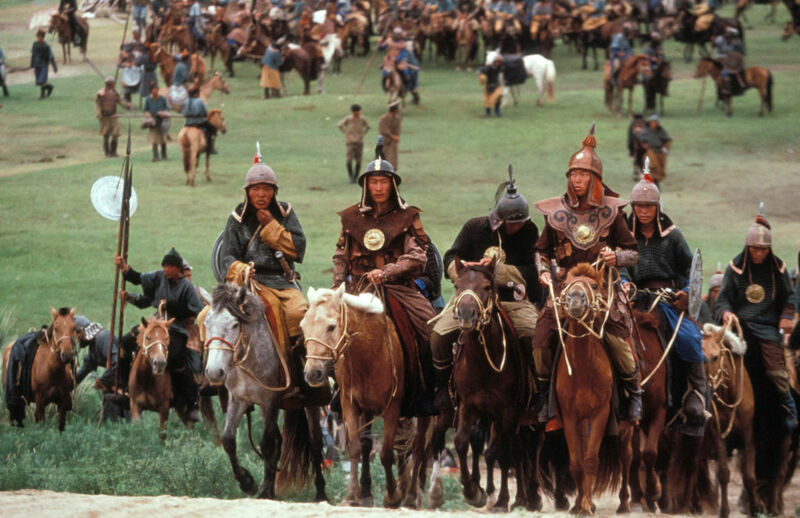 The Mongols then proceeded to eat a victory feast over their enemies, watching as the last of the survivors were slowly crushed to death beneath them. This next one happened long after Genghis’ death, but it still says a lot about his legacy. Around 1346, just before the plague arrived in Europe, Mongol hordes were struck by the Black Death as they laid siege to the town of Kaffa. 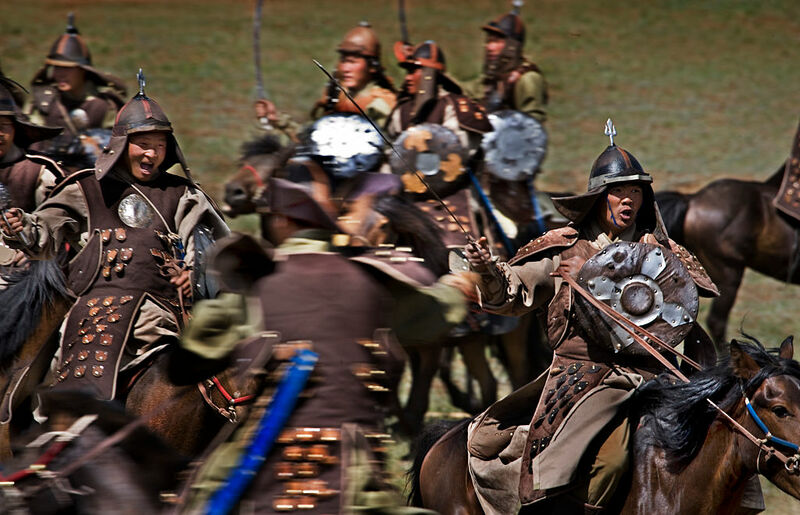 As their numbers quickly diminished, the Mongols began to hurl the bodies of those who had died from the plague into the walled city in an attempt to turn the bodies into plague-carrying agents of mass destruction. 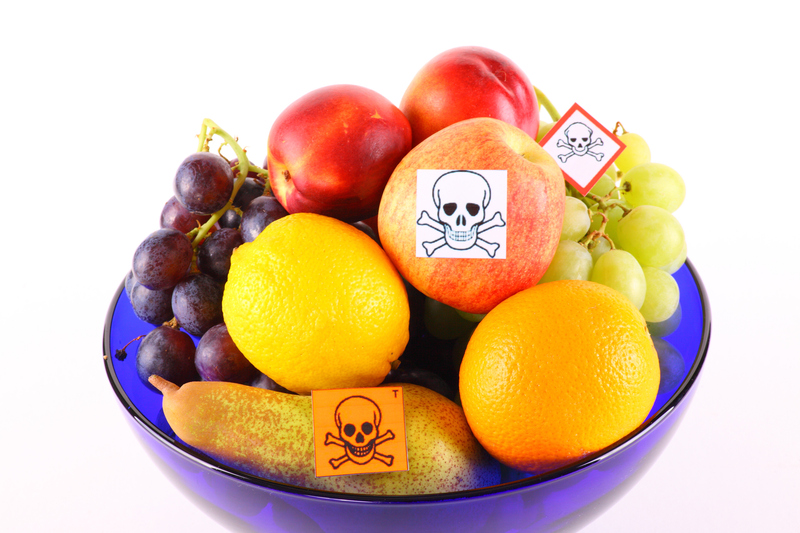 I like to think Genghis was smiling down from heaven—but it gets even more gruesome. 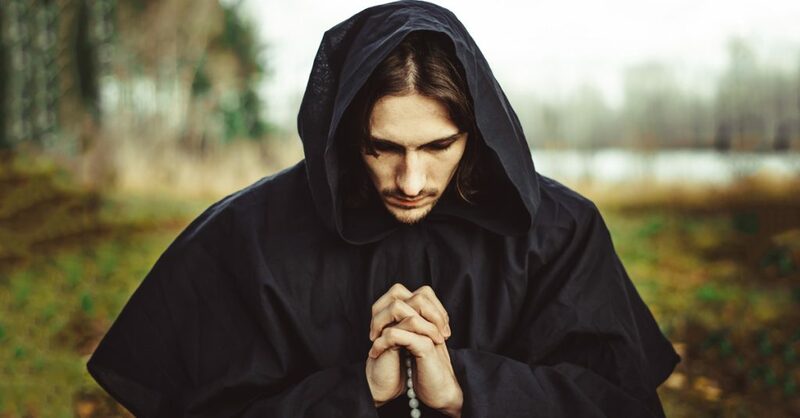 Many scholars believe that this was how the Black Death first came to Europe, as the people brought the disease with them when they fled Kaffa and headed west for havens such as Sicily. This means that the Mongols, between the Black Death and their regular conquering, have maybe the highest death count of any civilization in world history. Toregene Khatun was one of Genghis Khan’s daughters-in-law, and she had almost as brilliant and brutal a reputation as Genghis. She ruled as Great Khatun and regent of the Mongol Empire for five years, and helped her son Guyuk become Khan in 1246. Guyuk, however, did not repay back his mother in kind. 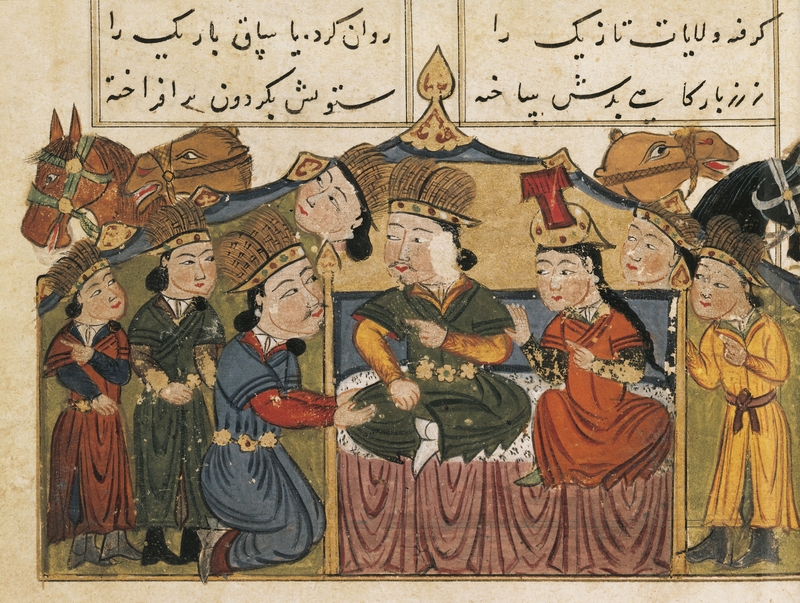 When he became Khan, Guyuk’s brother Koden accused one of Toregene’s closest advisors, Fatima, of using witchcraft on him. Koden then promptly died. Grieving his brother and pretty convinced Fatima was definitely a witch, Guyuk demanded that dear old mom deliver Fatima to face execution for her crimes. Toregene, not happy about the situation, claimed she would commit suicide rather than hand over her beloved advisor. So what was Guyuk Khan to do? Well, he seized Fatima anyway, killing her by sewing up her mouth and other orifices and then dumping her into water. He then proceeded to strip the household of his mother’s supporters. Toregene died a few months later under mysterious, and obviously very suspicious, circumstances. It’s hard out there for a Mongol. Genghis Khan killed more people than Josef Stalin and Adolph Hitler combined. And remember, he also did all this killing when the Earth’s human population was much lower than it was when Stalin and Hitler were in power. 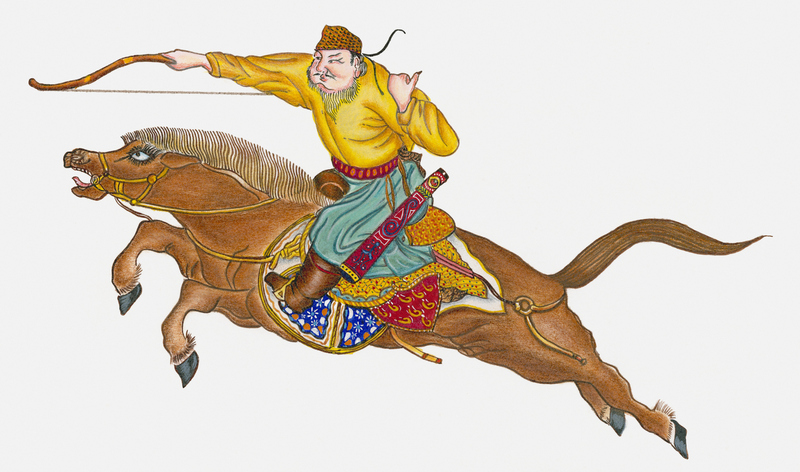 Genghis Khan was once shot in the neck during a battle. When the enemy army was defeated, he asked which of the enemy soldiers had shot “his horse.” The archer responsible stepped forward, and even corrected the Khan by saying, excuse me, he shot him in the neck. The man did not beg for mercy, and acknowledged that it was the Khan’s choice to kill him. But he also swore that if the Khan spared his life, he would become his loyal soldier. 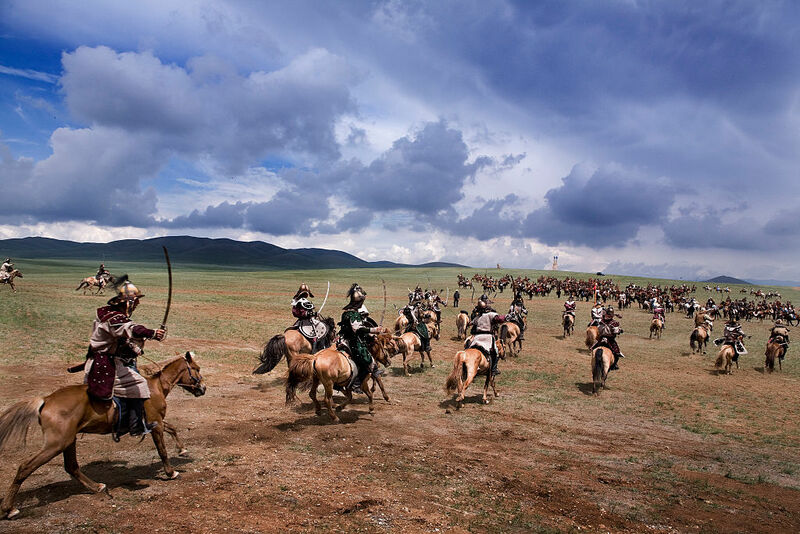 Valuing the archer’s courage and skill, Genghis recruited him, and the man went on to be a great general under Khan. Where is the Great Khan buried? What did the warlord look like? If you know the answers, test your mettle with our quiz and gain entrance into the Khan’s elite guard.